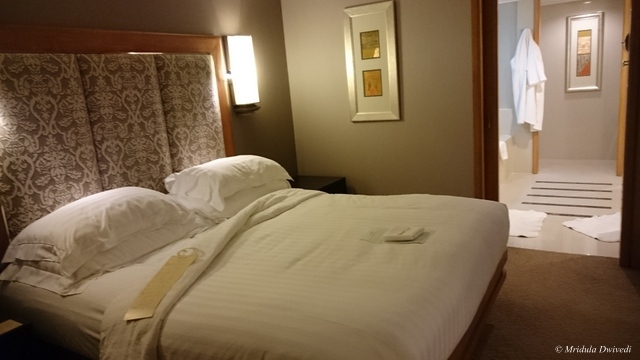 It is not every day that I stay at a five star luxury hotel And this was the first time when I stayed at a club room. I checked out a few hours ago from the Dusit Thani. 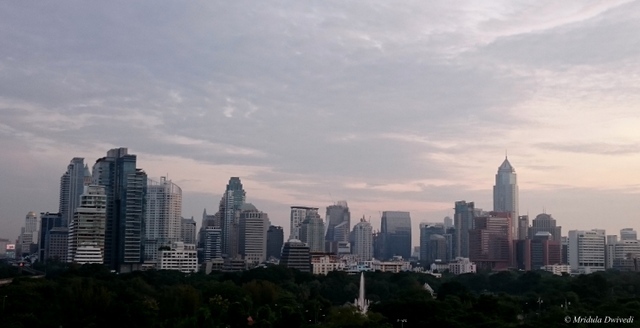 It was quite an experience to stay in the Dusit Thani Club Room, Bangkok. The room was huge with a living area, a bed room and a lavish bathroom. The living area had a work table and a sofa. There was a TV in the living area too, but I never got around to switching it on. It was actually nice to work in this area rather than the bed room. I enjoyed the fruit basket and tea which was complimentary. The bed room was quite comfortable, there were plenty of pillows and I slept well on both the nights. I had the city view from my balcony. The bathroom was truly lavish with a bath tub and a separate shower area. The closet area where I put my luggage was larger than any I have seen till date. What was entirely new for me was the access to the Club Floor. 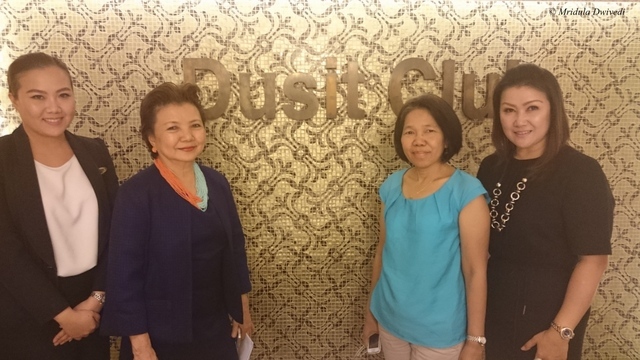 The third floor of Dusit Thani Bangkok is reserved for the club room members. They can access this floor through using their room key in the lift. There were many benefits for being a club member. There was a separate breakfast layout on the third floor. I thought I would go and have at least one breakfast in the main restaurant but I took all my breakfasts in the club area as it was peaceful. I am not a morning person and it was really good to have that extra half an hour of peace and quiet while my brain slowly tried to clear the haze that usually clouds my brain in the morning. In the evenings from 5.30 to 7.30 they serve cocktails and canapes which you can avail if you have a club room. I did manage to find time to be present on one evening for the cocktails. I think the club area gets most people during these hours! Tea, coffee and soft drinks are served throughout the day in the area. There are many other benefits like the services of a butler, discount on laundry etc. Do check out the website for a complete list. The hotel staff informed me that anyone could book a room with the Club Privileges. They also allow children in the club area. 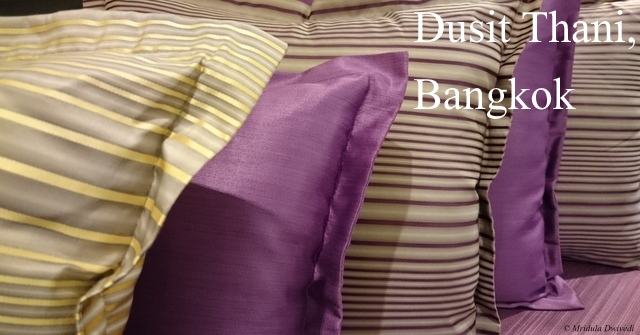 So if you are staying at Dusit Thani, check out their Club Privileges.